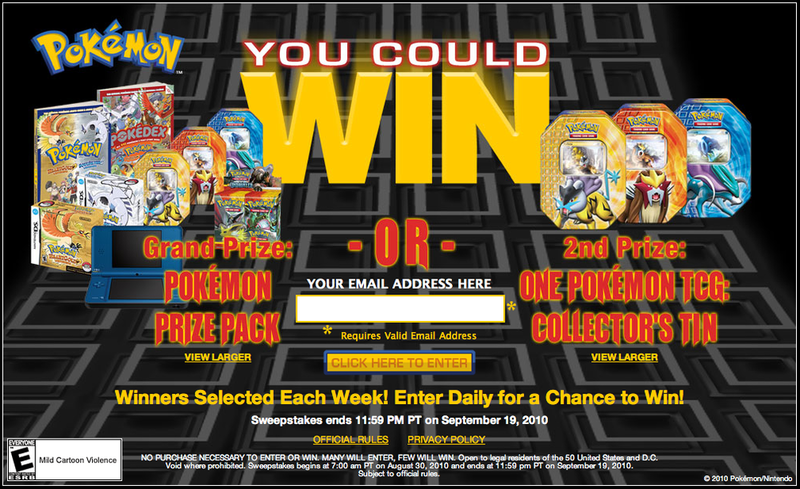 So if you like to win stuff (not from us), from the Pokémon Company, jump over here and sign up to win! PS: We are currently in the top 20 for Video Game Podcasts! Don't forget to rate us and submit an e-mail to win a Free PokéDex from us directly. If we make it into the top 10, we will give out a copy of HeartGold or SoulSilver to one of our listeners/readers.